With “Captain America: The First Avenger” and “Thor” looming on the Hollywood horizon, “The Incredible Hulk” and the two “Iron Man” films still visible in the rear view mirror, and the utterly tantalizing thought of seeing all of these superheroes (and more) brought together for a single motion picture written and directed by Joss Whedon keeping us warm ’til 2012, it’s no wonder that most present-day pop culture enthusiasts who hear the words “The Avengers” do not immediately think of a dapper Englishman with a bowler and an umbrella and a gorgeous, leather-clad lady with formidable judo skills…even if they really should. 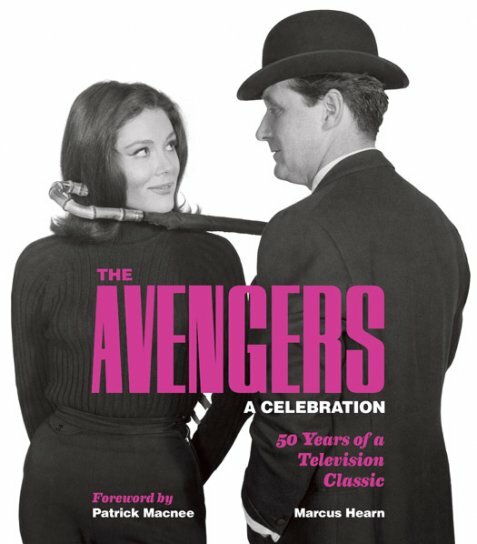 Written by Marcus Hearn and kicking off with an introduction by John Steed himself, Patrick Macnee, it’s a fantastic collection which delves into the original “Avengers” series (alas, “The New Avengers” doesn’t rate) and offers a tremendous number of photographs, many of which you’ve likely never seen before. Mainstream America never really felt the same kind of love for the series as the Brits did, and God knows the 1998 film didn’t help the situation any, but if you find yourself feeling giddy as you flip through the below photo gallery (Emma Peel does tend to have that effect), you’ll want to pick up a copy of this book for yourself…or, if your wallet’s feeling a bit light as the holidays approach, you could always add it to your Christmas list. Then again, I’ve heard reports that Santa is actually an agent for The Ministry, so he probably already knows you want it, anyway.